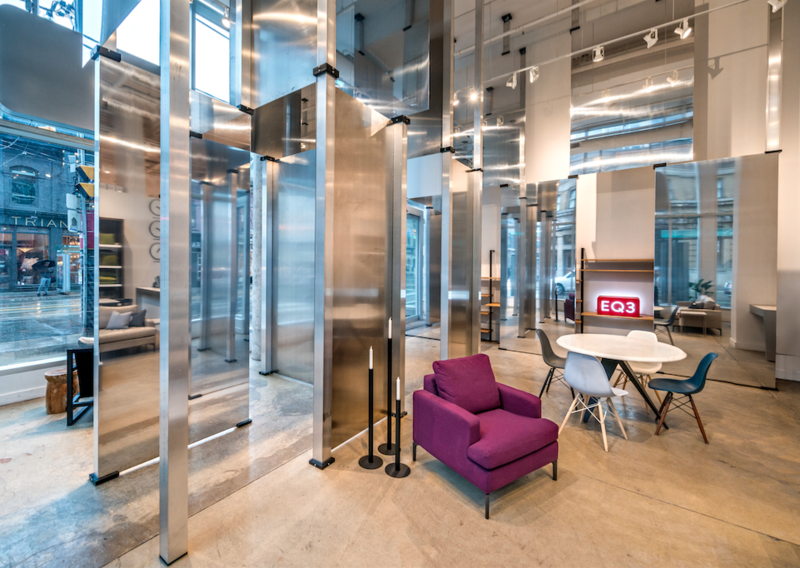 EQ3 and 5468796 Architecture participated in the Toronto Design Offsite Festival with Tapped / Untapped, an installation by 5468796 Architecture that was presented in EQ3’s King Street East showroom. 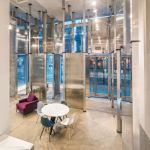 Tapped / Untapped uses two conventional, off-the-shelf materials as well as an innovative connection detail that enables the materials to be returned to the production cycle unscathed. 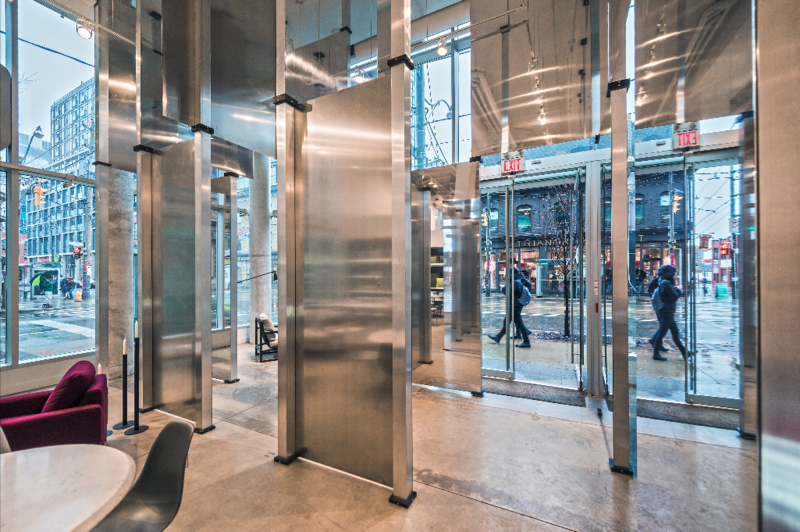 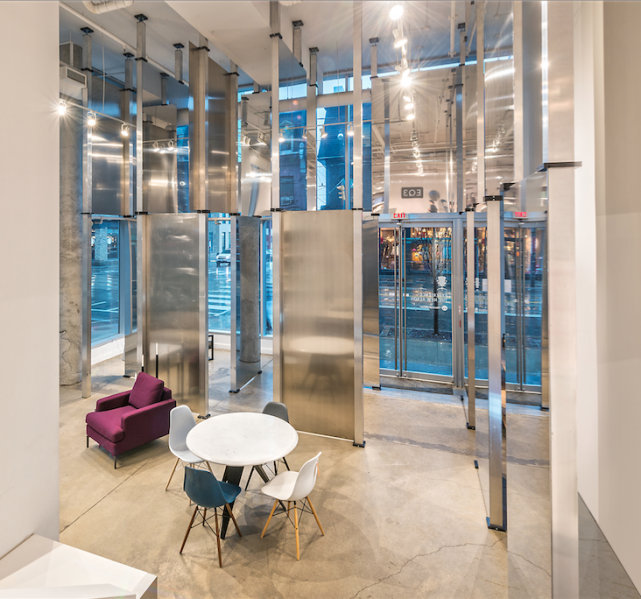 Twenty 20-foot columns extend to the ceiling, supporting cantilevered, mirrored aluminum panels. 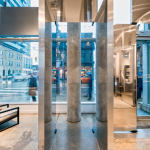 These simple gestures create an “urban forest” that dramatically alters perceptions of space, reflecting the surrounding context, people, and products. 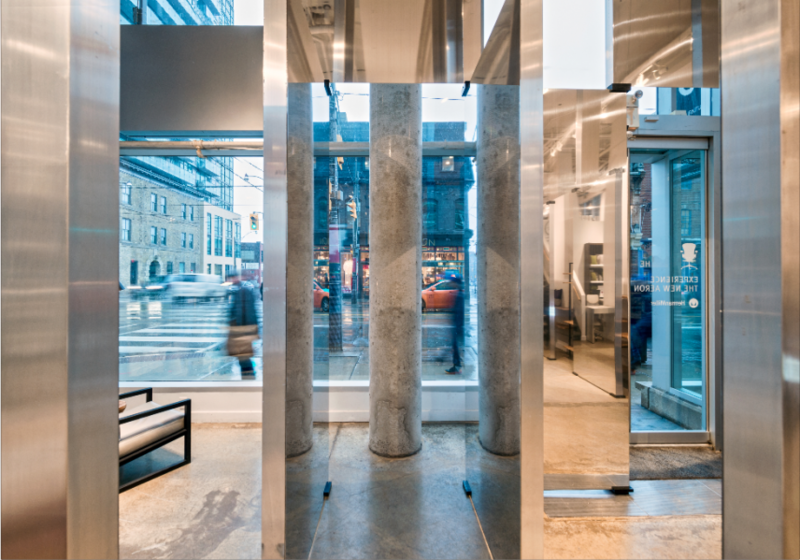 Tapped/Untapped was on view during the Toronto Design Offsite Festival, January 17-22, 2017, at EQ3, 222 King Street East, Toronto ON, M5A 1J7.